It’s always important to take a step back to consider what’s trending to make sure you make your next event is the best one yet! Sit down, have a cup of tea and take a look at these 2014 event trends below! 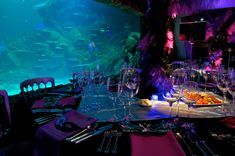 Add something extra special to your event with a projected red carpet with paparazzi flash bulbs, which would enhance any themed event at Madame Tussauds or project a giant interactive piano on to the floor at the Sealife London Aquarium. The possibilities are endless! Partridge Events have recently launched interactive projections, which uses fantastic motion capture technology to create a unique experience. 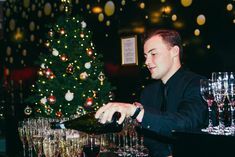 Why not start your event in style by joining the 40’s cocktail revival! This year at the top of everyone’s list is the classic American favourite “the Daiquiri”. Also popular this year is the “Gin Fizz” and “Whiskey Sour”! Yum! Some even predict that we can expect to see more woodland meats such as goat, rabbit and pigeon!! I’ll leave you decide on this one! This has always been important to clients, and 2014 is no exception. Conventional photography and videography is still looking popular, but there will be an increase in social media content allowing guests to engage with the event. With Merlin Events you’ll get a free social media photographer with most event packages! With the end of the recession in sight, unique venues are once again the centre of attention. New venues like the London Aquatic Centre will soon be putting on events for guests to enjoy a unique experience. With everyone having a little more budget to work with events are becoming the lavish affairs that they were in the early 00’s. Where better to splash your cash than in a venue that your guests will talk about for months to come.